UDA has incorporated the latest LEED 3.0 green building standards in addition to the NAHB Green guidelines, National Green Building Standards, Energy Star Guidelines and project workflows into the complete family of ConstructionSuite 2010 Green products. 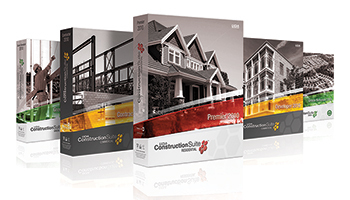 UDA Technologies, the award-winning provider of construction management software, announced today the newest version of the UDA ConstructionSuite™ software. Used by tens of thousands of construction professionals worldwide, UDA construction software is the industry standard in project management software for residential builders, subcontractors and remodelers. UDA Technologies today announced the release of ConstructionOnline, an integrated series of web services to connect construction teams. Designed for construction professionals that need the freedom to share estimates, schedules, project photos, and more, ConstructionOnline connects your entire team, anywhere, anytime. Keeping up-to-date with the latest technology, ConstructionSuite 2010 has been engineered to be fully compatible with Windows 7, Microsoft's latest advance in operating systems.